My neck ached as I stood gazing up at the Clock Tower, mesmerized by all the thoughts that were going through my mind. In 1859, during the heyday of the British Empire, this now famous icon was completed. My thoughts were interrupted by its loud, forceful, grand chime. Its sound vibrated through my body, from the top of my head to my toes. The noise from the nearby buses, motorbikes and cars distracted me for a moment as I noticed people pushing and bumping into me as they frantically looked up, not wanting to miss a single chime. Again I drifted off to a historical time when Britain expanded and colonized much of the world. 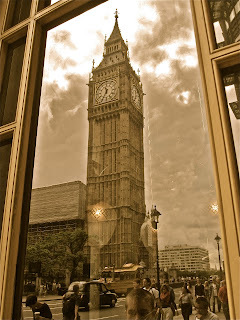 To imagine, during the Second World War, that despite the heavy bombing during the Blitz, when London was bombed for 76 consecutive days, the Clock Tower survived with little damage, and Big Ben’s bell rang accurately throughout. Big Ben’s chimes would be heard in living rooms around the world during that time, through the BBC World Service, sounding loud and clear that Britain had not been defeated. My mother was 11-years-old during the Blitz, and she recalls how every evening, her family would assemble around the radio, awaiting the six o’clock news. She reflects on how inspired and patriotic she felt upon hearing Big Ben’s comforting, booming chimes coming through the radio before the news report. My father reflects upon that time too, and on another clock tower, a clock tower literally on the other side of the world. In the late 1800’s, the British North Borneo Company began to establish colonies throughout North Borneo. They created Jesselton, a main harbor and port. 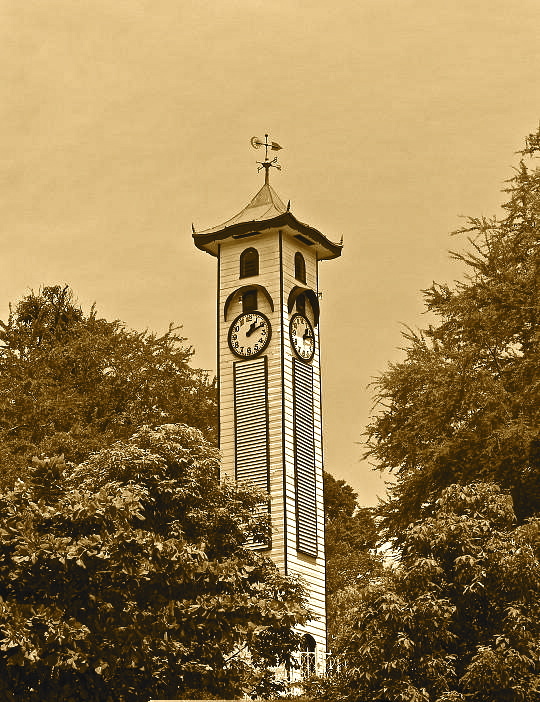 In 1904, the Atkinson Clock Tower was built in memory of North Borneo’s first district officer, George Atkinson. It sat up on a hill, close to the shoreline, and served as a beacon for ships. My father was born and raised in North Borneo. He was one of 14 children. During the Second World War, Borneo was engulfed in conflict for three years, marked by destruction, pain, humiliation and suffering. As a result, Jesselton was destroyed, almost flattened, except for three structures, the Atkinson Clock Tower being one of them. The Japanese occupation was a harsh time for my father. Both his father and brother were falsely accused as spies, and imprisoned. It was to be the last time my father would see either of them again. He was only 15. My father recalls the comings and goings of Japanese aircraft overhead, and the distant sounds of bombs dropped. A few times, as the bombers got closer, he remembers how he had to run and hide inside the narrow ditches on both sides of a nearby field, close to the Atkinson Clock Tower. It wasn’t just the bombs he had to dodge but also the bullets from the machine guns that fired out relentlessly from these low flying planes. There have been stories of many who actually hid inside the Clock Tower itself. After the war, The British Crown rebuilt Jesselton as the capital city of North Borneo. 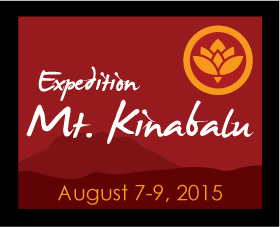 (After independence in 1963, the name changed to Kota Kinabalu). The town grew into a modernized city. One does not always notice the Clock Tower these days. It sits nestled amongst trees, and has been made into a heritage site. It is quite a distance from the shoreline now, as a result of extensive land reclamation and considerable development. But nevertheless, there it stands, as a legacy, as a reminder of all that has happened. 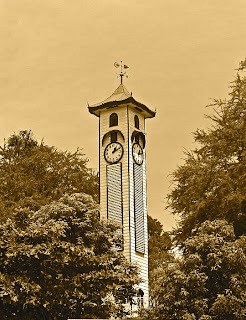 Like Big Ben, the Atkinson Clock Tower, although not as famous or as glamorous, has stood the test of time. It has witnessed the rise and the fall of the British Empire, the Second World War, and most importantly, the memories that are forever cherished throughout the generations. These are the stories that are passed down from our grandparents and parents, of a time past, but which deserve respect and acknowledgement and preservation. Terima kasih from the bottom of my heart for that beautiful piece that touched me to tears. Still crying as I write this … We will always be daughters of this land, no matter how far and wide we’ve traveled the world. Cath, you put is so well. Where are we without our history! Thank you. This made it to the Daily Express.